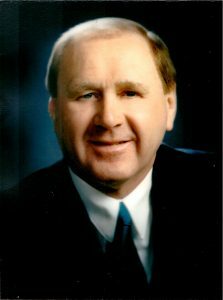 Gord McArthur has been a top-selling REALTOR® in Calgary over 30 years. Recognized as one of the leaders in real estate marketing in Calgary, Gord has earned a number of awards for his performance including the prestigious MLS® Million Dollar Club, MLS Award of Merit, Re/Max Hall of Fame, Circle of Legends, and ReMax Lifetime Achievement Award. Specializing in the Varisity community and surrounding area for over 30 years. He knows the homes in that area right down to the nails that hold them together, but he doesn’t stop there: Gord knows Calgary real estate from rentals to estate homes to new building and everything in between. His skills and knowledge are top-notch and will make your search for a new home a smooth and easy experience. Gord’s clients work with him because of his dedication and ability to meet their goals. Repeat clients go back to him because they know he puts their best interests as his #1 priority. Above all, Gord lives a life of integrity, providing his clients with nothing less than excellent service and honest information. Contact Gord today to find out more about how he can help you buy or sell in Calgary.